Unexpected guest? Big dinner planned? This table offers the option of extending to accommodate more guests while still giving you saving you room when it will just be the regulars dining. Create a story and simulate years of wear! For those who admire rustic, shabby chic or cottage design this distressed detailing on this furniture piece re-creates the look of a beautiful antique. Protect your flooring from scratches or damage made by dragging your furniture around. The floor glides attached to the bottom of the legs also lets you move the furniture piece around smoothly. Soft and cozy! 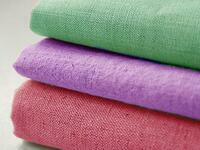 Fabric upholstery is an economical, environmentally friendly way to show off your eye for style and color. It allows for a multitude of patterns or color options. Enjoy the almost serpentine-like coil design of these turned legs. 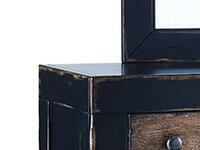 The craftsmanship and detailing on them is unmatched! Like reinforcements? 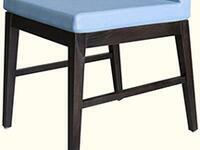 The stretchers on this furniture piece provide excellent support. They also add interest to the vertical lines. The chairs were very well packaged and no damage to any of them. Shipping and delivery was right on what had been promised. I have been using the chairs for several months, and I like them very much. These chairs work perfectly with my grandparents old table. They are very sturdy and have a great finish to them. They look great and are holding up well after a few months of use. 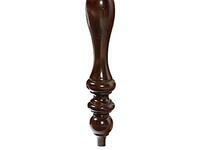 Bought two of these to put in living room & can use them at end of my new dining room table if needed. I have young children and they can easily be cleaned with soap and water and you can never tell they spilled anything on them. 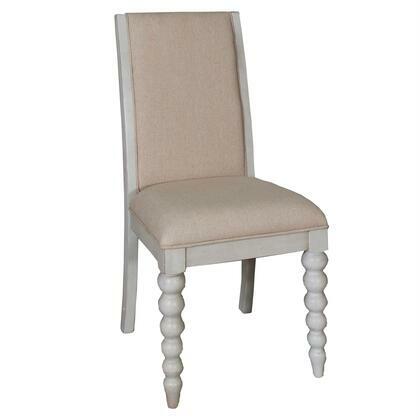 Beautiful and heavy-duty chairs from Liberty Furniture. They look just like the picture and are a beautiful addition to our home. They're uncomfortable to sit in for long periods. 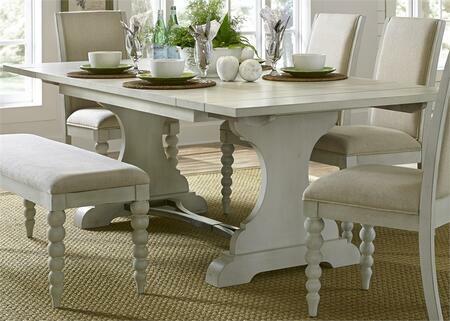 Restoration Hardware Dining Table, but didn't want to spend all that money paying for their chairs. They look fine with my new table. Super sturdy, high-quality chairs. Very pleasantly surprised with the quality. The chair is beautiful and the wood is smooth and nice. I have the chair set for over a year. They are still useful and nice. Came in a great condition from the box, no complaints at all. 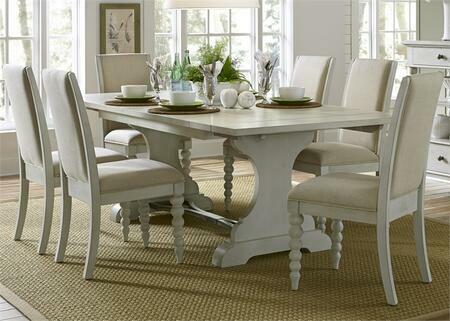 I love the chairs go so well with my family table!!!! Nice and roomy. It's sturdy and heavy without being bulky. Beautifully built. Fits nicely into any cabin or decor. There isn't enough good to say about these chairs. There aren't words. They are solid, very comfortable, VERY well-made, attractive. I love how well they are made, they don't wiggle at all--and yet they're easy to move. Great coloring and goes superb with my farmhouse style table. Attractive wood chair. Durable and comfortable. Beautiful! Love the wide seats, rustic details. The chair is exactly what I needed for my father. Well made, comfortable, and closes matches my original dining room set that I purchased almost 30 years ago. The process from ordering to arrival was seamless. Planning on ordering more here.